We recently spoke with Jeffrey Savage at Cornerstone University about their Online MBA program. A mid-career professional, someone in his or her mid-30s or late-30s who works as a manager but not necessarily an executive. Our MBA is designed more for first-line supervisors or middle managers looking to further advance in their careers. We recently spoke with Jake Messersmith at the University of Nebraska about their online MBA program. Ranked #25 in the nation, the Big 10 school offers a great option to students seeking an MBA. Congratulations! Online MBA Report’s 2019 rankings show University of Nebraska as #4 in the Midwest, #25 in the nation. How do you keep your standards so high? Congratulations! Online MBA Report’s 2019 rankings show University of Cincinnati as #1 in Ohio, #8 in the Midwest, #45 in the nation. How do you keep your standards so high? We are constantly updating our classes, both in the way we deliver content as well as the integration of new distance-learning tools. Our goal is to ensure our students have the knowledge and skills they need to build successful careers. Our Online MBA program receives the highest marks for the quality of its students and the credentials of its faculty. We recently spoke with Dee Steinle, Executive Director of MBA at the University of Kansas about their Online MBA program. Congratulations! Your program ranked #12 in the Midwest in our recently published 2019 rankings. What is the latest news with University of Kansas’ online MBA: any upcoming enhancements? This month, we are pleased to announce that Castleton University, Seattle University and Stetson University have each launched a new Online MBA program designed to accommodate working professionals with varying schedules. Castleton University plans to offer its program in an accelerated format, allowing students to complete the program in just one year, while the program at Seattle University is designed for those seeking a slower pace (two-and-a half years). What is the latest news with Montclair State University’s online MBA: any upcoming enhancements? We spoke with Pam Suzadail, director of online programs at William & Mary about their highly ranked Online MBA and their unique approach via a Renaissance education. Congratulations! We just released our 2019 rankings and William & Mary earned #15 in the East. How do you keep the standards so high for your online MBA program? We recently spoke with Craig Lien about Concordia University’s Online MBA program. 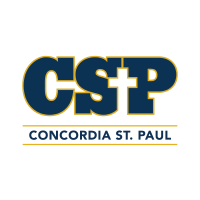 Are students required to spend time on Concordia University’s campus in St. Paul, Minnesota? While students enrolled in CSP's online programs are not required to come to campus for their classes and coursework, they are welcome to come to campus if they'd like to study in our numerous common spaces or utilize our Library Technology Center or any other student services located on campus.